It is 1913, nine years after the end of A Little Princess saw Sara Crewe escape Miss Minchin's orphanage. It's a story about lost mothers turning up in unexpected situations, the power of friendship and female empowerment. I have always loved Frances Hodgson Burnett’s book, A Little Princess. I can still picture the exact copy I had as a child. It had illustrations by Margery Gill (she illustrated lots of my other favourite books too, like Noel Streatfeild’s Apple Bough) and Sara had dark bobbed hair with a fringe, just like mine. I wanted to be like Sara so much – she was clever, she loved books, she had the most amazing clothes and a doll who had her own complete wardrobe. Most of all, she was so confident! I was very shy as a child and I found it really difficult to talk to strangers, or to answer back when anyone said something mean at school. I wanted to be clever and quick-thinking (but always with perfect princess manners) just like Sara. In the original book, Lottie is a spoiled motherless baby who throws herself on the floor and screams when she’s asked to wash before lunch – but at the start of the story, she’s only four. I remember being amazed that a four year old was at a boarding school. When I first thought of writing a sequel to A Little Princess it was Lottie that I found myself thinking about. Why had she been abandoned at Miss Minchin’s so young? Two years ago, I wrote a sequel to The Secret Garden, and the real inspiration for the story was thinking about the time that the book was written, and realising that Mary, Colin and Dickon would have grown up as the First World War broke out. A Little Princess was written slightly earlier, just as the WSPU (Women’s Social and Political Union aka the Suffragettes) were starting to be talked about in drawing rooms across the country. Schoolmistresses like Miss Minchin would have been protecting their charges against these unwomanly women. I really wanted spoiled, unloved Lottie to find a way to make her voice heard, and I was fascinated by the Suffragettes – I’m so glad I had the chance to write this book! I'm so glad that Holly agreed to a guestpost on my blog, because A Little Princess is one of my favourite children's books (along with The Secret Garden, Holly Webb wrote Return To The Secret Garden inspired by it!) and I love seeing what authors inspirations are. I've never read A Little Princess (though have recently added to my TBR)but I think I'll need to get a hold of this! I loved Holly Webb when I was younger (Sam the Stolen Puppy has basically scarred me for life!!) And I'm fascinated by the Suffragettes. Wow, how luck to have to have this as a guest post on your blog. This looks like a fab book to read. This book sounds right up my street! My favourite book growing up was actually The Secret Garden. I still have the copy I always read - it's a beaten up old hardback with no dustjacket, printed in 1961 and taken from my nana's house. It's one of my favourite things in the world. 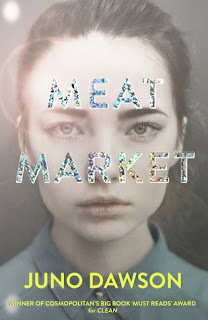 I haven't read Holly's sequel to it but I'm definitely, definitely going to pick it up - as well, probably, as this! I remember the Little Princess when I was little but now this post has not only made me want to rad the original novel but the sequel too! I haven't read any fiction with the Suffragette movement so I am super excited to check this out! 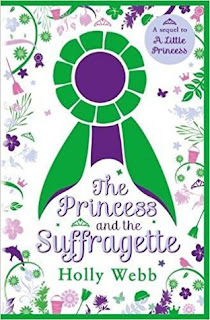 I've not read any of the books mentioned but The Princess and The Suffragette sounds like such a good book. I'll have to keep a look out for this one.